… I’m also the carpenter! Sort of. 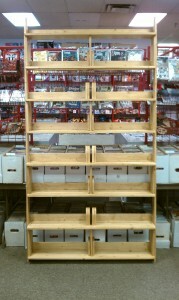 I won’t boast of my prolific carpentry skills as they are rudimentary at best. They do get the job done, tho. 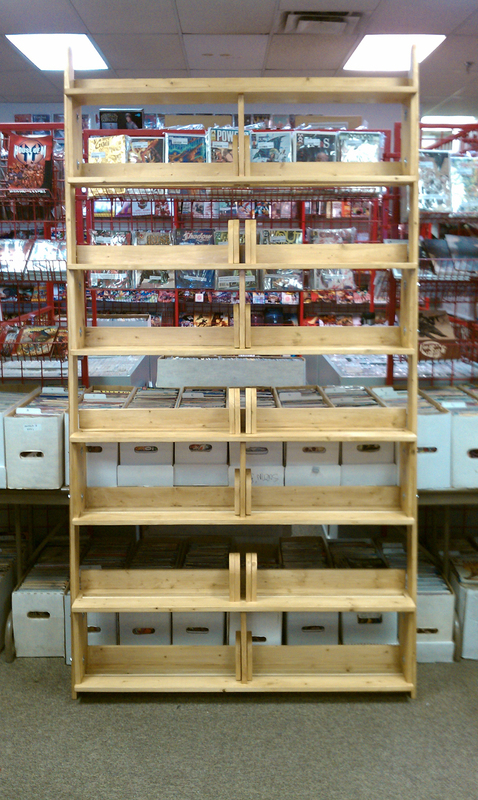 Awhile back, I designed some bookcases for Downtown Comics, here in Indianapolis. It has been a long process getting these from concept to completion (due primarily to the juggling of other projects and deadlines), but it has been a lot of fun as well as a refresher in junior high shop class. This is a pic of one of the finished specimens. I also put some production shots up on Flickr for those interested in this sort of thing.